Having moved a virtual machine (VM) from a Hyper-V cluster where network optimization was available, to a cluster where it isn’t I was unable to live migrate the VM because “There currently are no network adapters with network optimization available on host”. 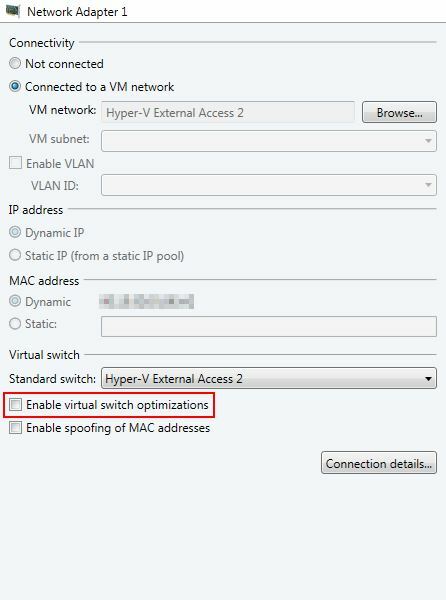 As network optimizations aren’t available on the host cluster, the tick box to disable virtual switch optimizations isn’t available. On the original Hyper-V cluster where network optimization is available you can see a check box to “Enable virtual switch optimizations”. Luckily, PowerShell can help. Running the command below from the SCVMM PowerShell console lists the properties of the VM’s network adapter. VMNetworkOptimizationEnabled is set to true. 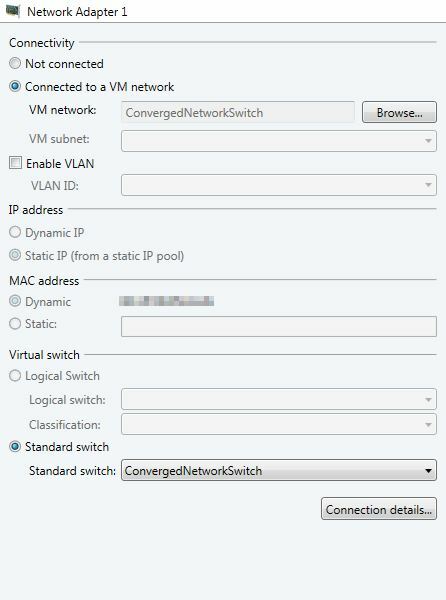 You can use PowerShell to disable VM Network Optimization. You can now live migrate the VM. This entry was posted in System Center Virtual Machine Manager, Virtualisation and tagged Hyper-V, SCVMM on May 20, 2014 by richardstk.